21 Casino (not to be confused with 21.co.uk) has a ton of style and some quirky bonuses. This site is brought to us by Imperium Network Solutions and prides itself on first class service. With a vast provider selection, too, 21 Casino could be number 1 for you. 21 Casino has a black and yellow colour scheme that feels very smart and even a tad regal, perhaps thanks to a crown logo. The site has a sketchy backdrop image and uses photo art to make the site ‘pop’. It’s a very good aesthetic and a well-made site. Navigation is made easy by a large top bar, which has your account area on one side and three clear links to games, the cashier and the promotions page. There’s a useful sidebar menu for quickly navigating games and a floating live chat button too. Lots of smart touches. There is a small support link at the page bottom which takes you to the help page. Here you have the choice of email, live chat and a ticket system. While tickets are useful, it’s a shame there’s no phone line, especially considering that the live chat is not 24/7. The service is open 10am to 1am (CET). This does leave a gap for some customers. Lacking a thorough FAQ section too, the site’s customer support is quite lacking. Fortunately, on the plus side, the actual team are very helpful and knowledgeable. The welcome bonus follows a theme at 21 Casino, starting with 21 free spins! These do not require a deposit so they’re good for taking a look around. The welcome bonus is 121% and has no upper limit to how much you can claim, something rarely seen. There are 10 free spins with this too, for a NetEnt game of your choice. This bonus appears to have a 35x requirement. There are not many offers at 21 Casino but they are interesting. At the time of writing, the Hangover Bonus offers a 21% bonus up to £210 on your first deposit on Mondays and Tuesdays. Sensing the theme yet? There’s also a Stairway Bonus, where the more you deposit, the bigger bonus you can grab. This requires quite a commitment however, over £100 to get 30%. There is an on-page lobby at 21 Casino which simply lists game icons on the right and the menu on the left. It’s a little squashed on the page, but also very simple and easy. Games can be sorted by name, popularity and recent additions and provider name. You can display the RTP if you like to edge the odds in your favour. Games start in a pop-up window, with no special overlay from the site. This is a little bland, though some players prefer this, as extra bells and whistles are not strictly needed. Still, the site feels a little barebones in this department. Oddly, while 21 Casino does not offer any information on their mobile offerings, you can view the mobile site at the click of a button, even on your desktop. This might work well for touchscreen computers. The site lacks any apps, but it does have a nice enough mobile site. You’ll find the full game selection and account controls, though the game menu is a little slapdash and throws everything in together. 21 Casino is managed by Imperium Network Solutions Limited, registered in London, on behalf of Caddell Limited NV, which is regulated by the UK Gambling Commission. The site’s licence information can be seen clearly and can be verified with an online link. Security is good here, provided by the known GeoTrust brand. You also have a responsible gaming section with links to helpful organisations like gambleaware. The variety is good at 21 Casino thanks to a broad selection of developers- very broad indeed. There is a total of 13 different providers, so you’re bound to get varying styles and approaches to games. These include Microgaming, NetEnt and Thunderkick, though not all of these providers have the same level of quality. You can play standard video slots, progressive jackpots (Top Cat by Blueprint Gaming stands out) and classic slots. Table games include roulette, blackjack and poker, plus you have live dealer games by NetEnt, which let you play with real croupiers via video link. Plenty to see and do here- there’s even bingo and scratch cards. There is a cashier built into 21 Casino, just click on Deposit at the top left. The system is a little strange as you pick your amount before your method, but it’s easy enough to follow. Withdrawing seems to take at least 2 days to process, but customer reports suggest they’re pretty speedy after that. Several payment methods are accepted here. You can use MasterCard, Maestro and Visa for card transactions, or Neteller and Skrill, or PaySafeCard, Boku and SEPA bank transfer. Something for everyone, but no PayPal sadly. The VIP system here certainly looks nice, using a royal theme. Quite simply, you can earn reward points as you deposit and play. However, the ratios involved aren’t fantastic. Each £10 wagered on slots earns 2 points, 200 points are redeemable for £1 credit, but you need to have accumulated 1,000. There is a 500-point bonus after your first deposit. The system is pretty basic and doesn’t really have any royal pizazz. 21 Casino is a nice site and looks very good, but it falls down in a few places. 24/7 support would be nice, as would a stronger VIP system, but overall the huge game selection makes up for this. You may find some games here that you wouldn’t otherwise come across. The 21-themed promotions may make you smile, too. An interesting casino, worth checking out. 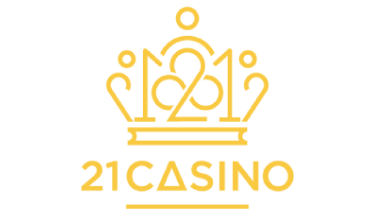 Have you played at 21 Casino? Leave a review and share your experience with thousands of other players. Never miss out on the latest news and offers. Favourite 21 Casino today!